Beautify, heal and protect your skin daily. Available in a 1.2oz and 3.4oz tubes. 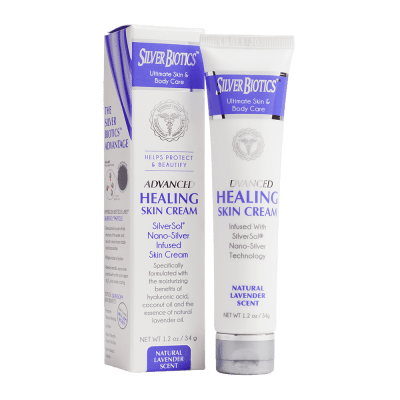 Ingredients: 20ppm Patented Silver Solution (deionized water, silver), Coconut Oil (Cocos Nucifera), Emulsifying Wax, Stearic Acid, Vitamin E (Tocopherol), Glycerin, Hyaluronic Acid.